The Journey Around Iceland takes you to all the main highlights of the country. 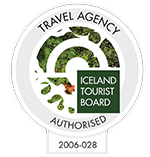 These include Lake Myvatn, Geysir hot spring area, Gullfoss waterfall, and Glacier lagoon to name only a few. This classical tour allows you to experience the uniqueness and variety of Icelandic mystical nature and culture. Every day you will discover new scenic views, ranging from volcanic black sands to farmlands and green oases. And from hot springs and bubbling mud to glaciers and icebergs. Optional individual transfer from Keflavik airport to your hotel in Reykjavik. You can add a visit to the Blue Lagoon on the way. Through Borgarfjörður and Skagafjörður to Akureyri including a visit to Glaumbær folk museum (tour in Scandinavian). Dettifoss, Europe’s most powerful waterfall – East fjords. Glacial Lagoon – Skaftafell and Vatnajökull National Park. Optional Boat tour on Glacier lagoon. Iceland’s South Shore – including the black beaches of Vík – Dyrhólaey – Seljalandsfoss and Skogafoss waterfalls. 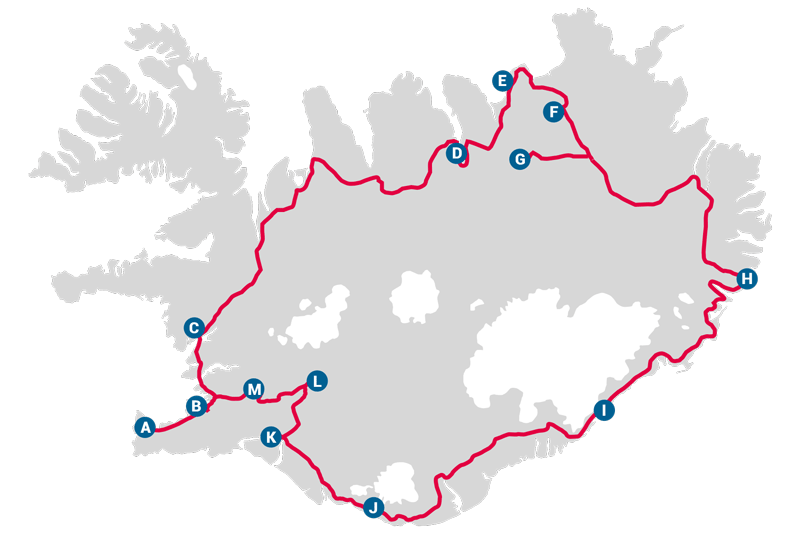 Golden Circle, including Gullfoss waterfall, Geysir hot spring area and Thingvellir national park. Weekly Wednesdays departures from middle of May to middle of September.